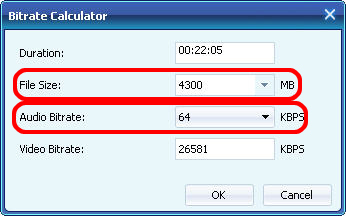 The trial version of PSP Video Converter is fully functional for 30 days of its trial period. Fire up the multifunctional videos to MP4 converter software and choose the files you want to convert. Set output folder and filename format. Select "PSP" as the output file format. And the default output folder is c:Temp, you can change to other folder. 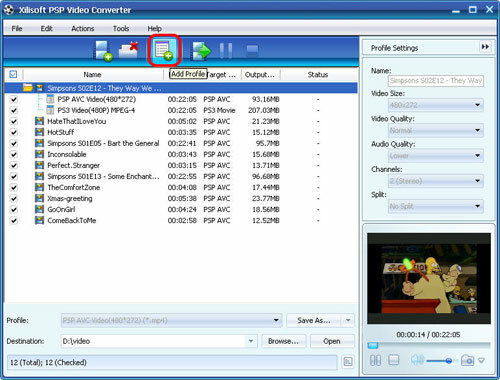 You can start to convert video to MP4 for PSP by clicking "Convert" button. On August 20, 2008, a revised PSP design was announced at a press conference in Leipzig. Based on the Slim & Lite (PSP-2000) design, the PSP-3000 features an improved LCD screen, a built-in microphone, oval shaped start and select buttons and an expanded video-out. The LCD screen features a higher contrast ratio, shorter response time, and wider color gamut, as well as anti-reflective technology for improved visibility in well-lit environments. Expanded video-out capability allows gameplay video to be output in interlaced format. This model was released in Japan, Asia, North America, Europe and Australia in October 2008. The PSP Go was revealed on May 30, 2009 in the June episode of the PlayStation Network online magazine Qore and was later officially announced on June 2, 2009 at E3 2009. The PSP Go features Bluetooth functionality, a smaller 3.8 inch screen and weighs 43% less than the original PSP. Instead of the UMD drive as found on previous models, the PSP Go has 16 GB of internal flash memory and Memory Stick Micro port as opposed to Memory Stick Duo. Games will be downloadable from the PlayStation Store, much like existing PSP units. The sliding mechanism on the screen hides the main face buttons and the analogue nub when not in use. 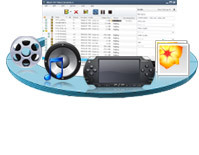 Xilisoft PSP Converter transforms your favorite movies and videos so you can play them on your PSP or PS3! Supported video formats include AVI, MPEG, WMV, MKV, DivX, RM, AVCHD, and H.264/MPEG-4 AVC High-Definition (HD) videos, and turn them into PSP MPEG-4, PSP AVC, PS3 MPEG-4 (480p, 720p, 1080p) formats.